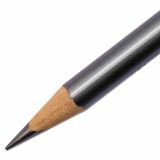 Large core diameter provides jet black, extra-smooth lines. 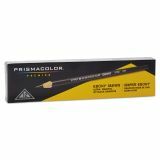 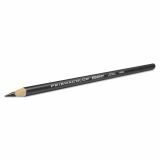 Prismacolor Design EBONY Sketching Pencil, Black Matte, Dozen - Sketching Pencil features a large diameter, ultra-smooth, jet-black graphite leads that produce thick, dark, easily blendable lines. Ideal for sketching, drawing and layouts.